Enter Roger (David Verdaguer), Kat’s childhood friend who comes to stay on the boat with them for a few weeks. Roger is a partier and well-versed in hook-ups and one-night-stands, but he’s got a great sense of humor, a big heart and he loves Kat and Eva so much that he offers to be their sperm donor. The perfect solution! Everything seems great until Eva actually becomes pregnant and Kat begins to question whether a happy little family unit is really what she wants. 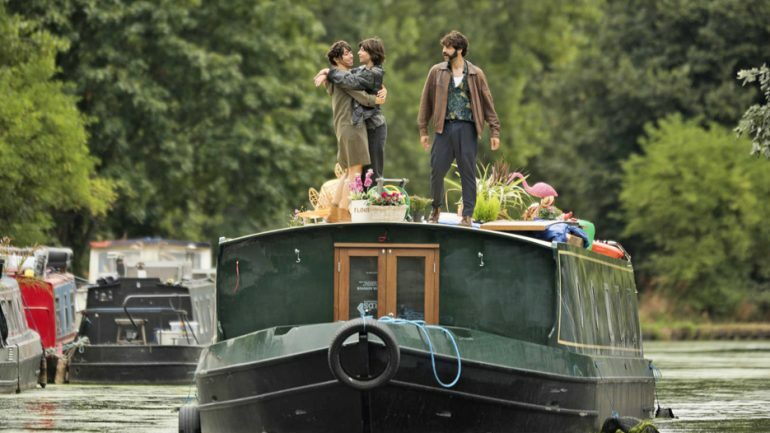 Director Carlos Marques-Marcet does a beautiful job of putting us right into the lives of these people: the close quarters of the houseboat, the calm earthiness of the canals, the small towns where stops are made, and the quirky folks met along the way. We feel like we’re right there, a part of it all as we watch this very likable trio try to figure out life and ultimately realize that sometimes the only course of action is just to drop anchor and hope it all works out.